Biography yields to no other species of composition, in interest and instruction. More especially is this true, when the subjects of which it treats are the struggles and vicissitudes of a life devoted to the pursuits of literature. There is a pleasure of the purest kind in observing the gradual development of thought and reﬁnement of expression in one, who, smitten with a love of the good and the beautiful, and desirous to leave something behind him less perishable than his tombstone, has "scorned delights and loved laborious days." 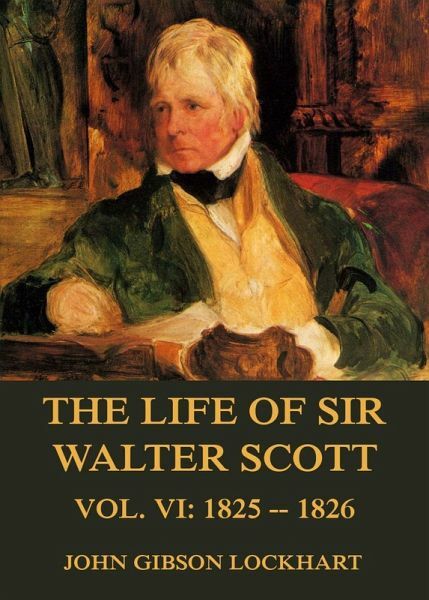 No one can read these Memoirs of Sir Walter Scott, so long and so anxiously expected, without feeling this pleasure, and without deriving from them that instruction which might not be received from the perusal of less interesting works. In our judgment, not the least important lesson which these memoirs teach, is the advantage, or rather the necessity, which there is of having some profession less precarious than that of literature, upon which the child of genius can fall back for comfort or support in the hour when adversity clouds the lights which hope hung up in the uncertain future. This is volume 6 out of 7 of one of the best and most extensive Scott biographies ever and it covers the years 1825 through 1826.